Kids rooms are great places. 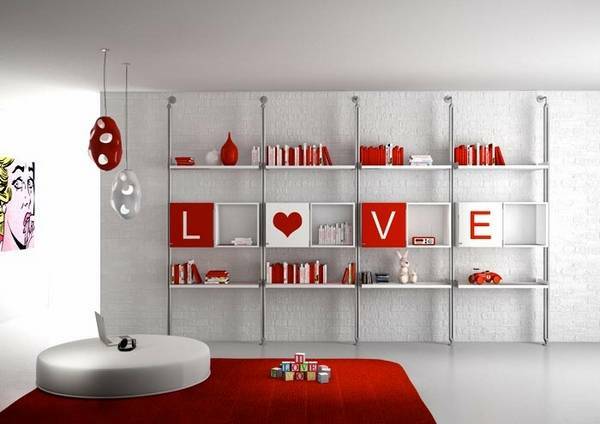 They allow to experiment with decorating ideas, interesting shapes for shelves and bright room colors. Decorating kids rooms with bookcases and shelves are fun. 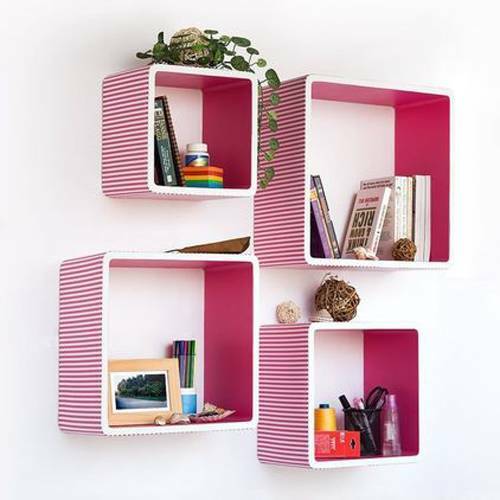 Lushome collection offers a few nice shelving ideas for DIY projects and creative, bright and beautiful kids rooms. 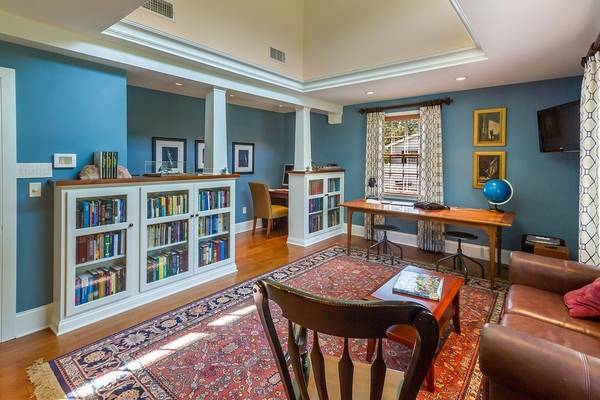 Any room colors can be complimented with interior paint applied to wooden bookcases or shelves. 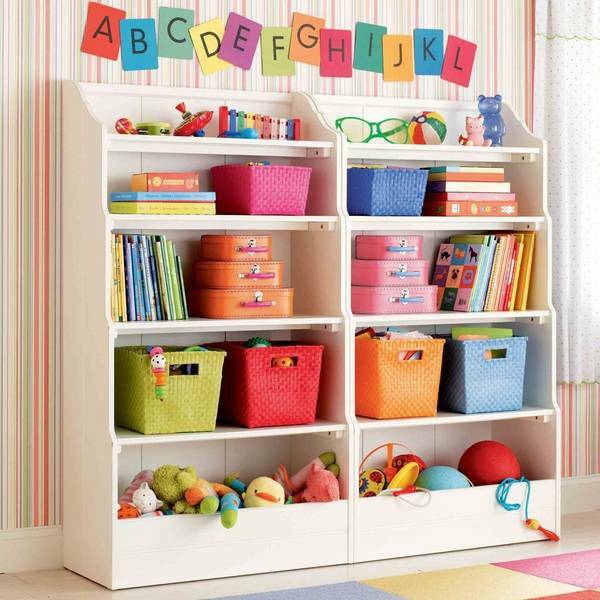 Colorful shelving ideas are an excellent way to personalize kids rooms and add bold accents to interior decorating. 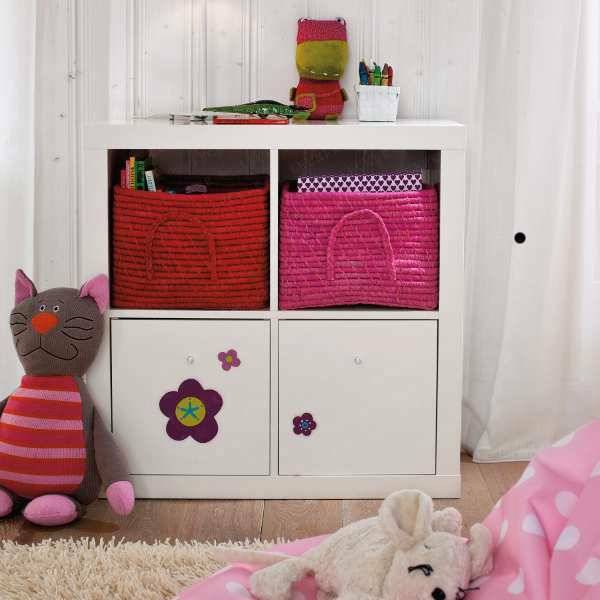 Plastic, metal and wooden shelves look contemporary and can bring wonderful shapes and colors into kids rooms while providing practical and comfortable storage spaces. 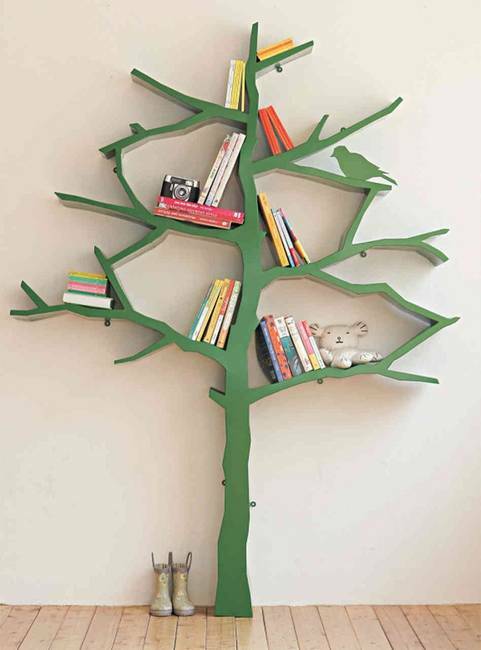 Attractive decorative shelves are great furniture items for kids rooms. 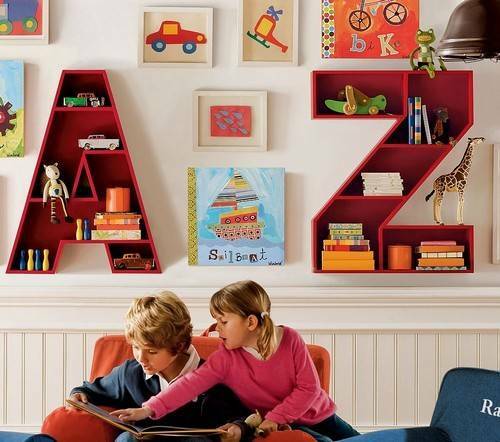 They can create colorful bookcases and made with shelves letters. 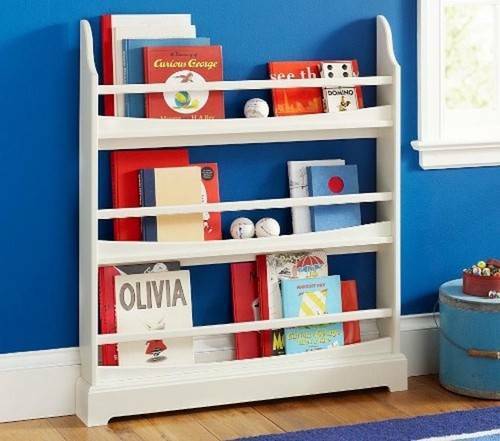 Trendy interior paint colors, stickers, books and decorations turn wall shelves into spectacular displays that reflect kids interests. 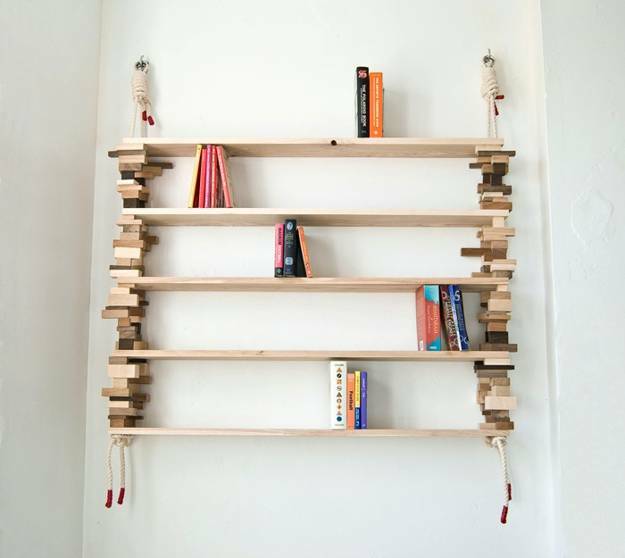 Unusual and creative combinations of ordinary wall shelves can produce stunning wall decoration. The outcome can be surprising and impressive. Using kids toys, books and things that kids love helps to design truly personal kids rooms with storage spaces that make a statement. 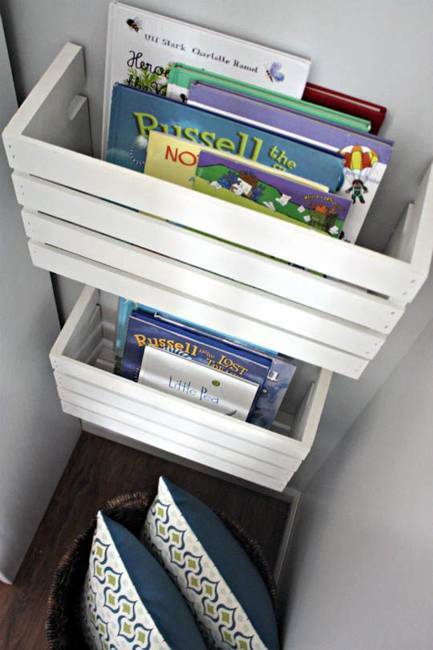 Wooden boxes and organizers, salvaged wood pieces and colorful plastic containers can work very well for decorating kids rooms and storage spaces. 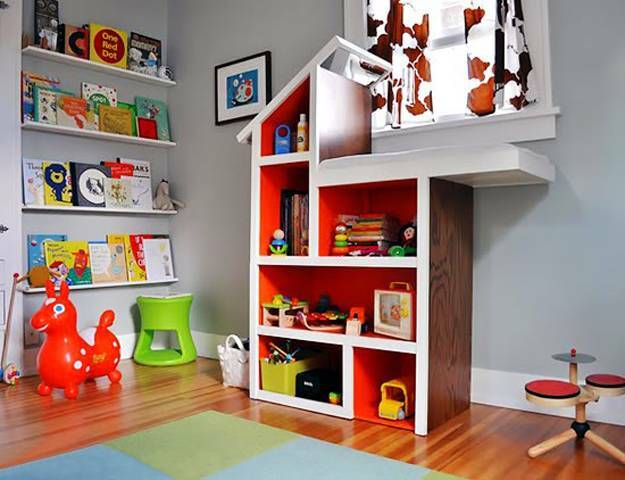 Bright interior paint colors, fresh shelving ideas and creative designs for bookcases and shelves beautify kids rooms. 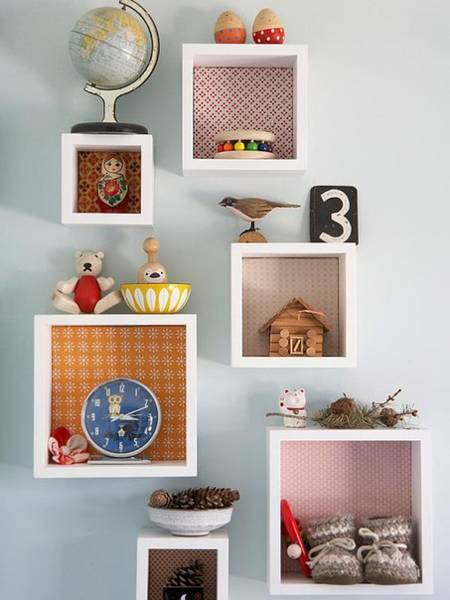 Decorative shelves can brighten up kids rooms by adding meaningful shapes, nice textures and kids favorite colors to interior decorating for children. 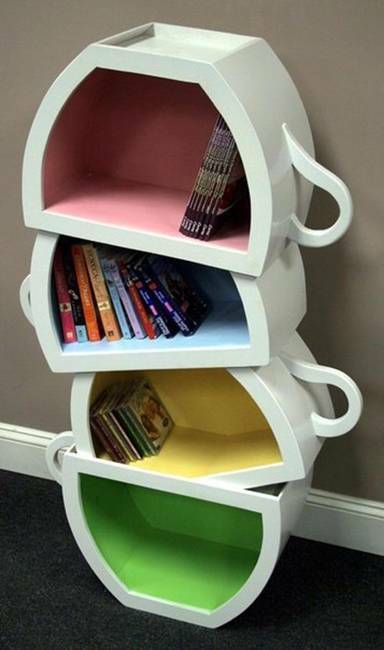 Many kids would be glad to help parents in making colorful bookcases and shelves for their room decorating. 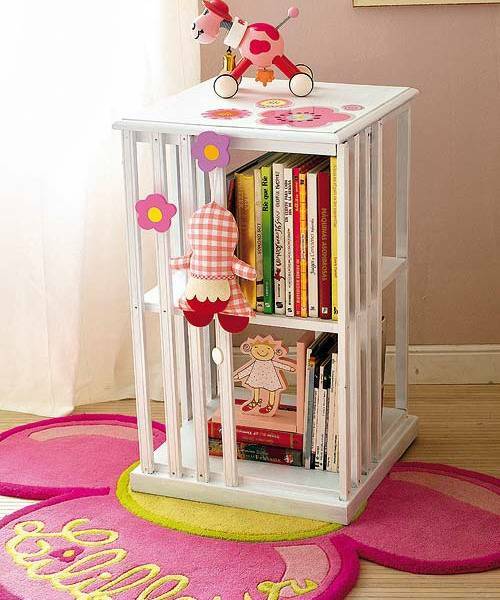 Bookcases and shelves for kids rooms vary in designs, sizes, styles and materials, but all storage shelves in kids rooms need to be well built, safe and convenient to use. 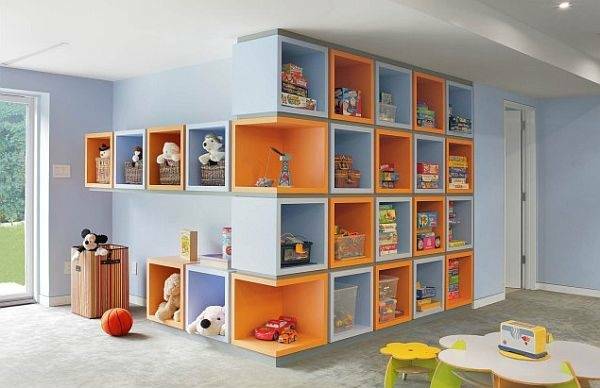 Creative shelving ideas are great for organizing kids rooms and designing relaxing and stimulating atmosphere in children bedrooms and playrooms. 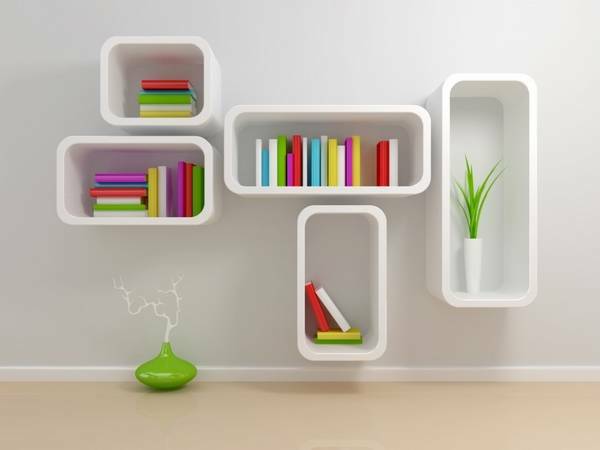 Bright, interesting and beautiful bookcases and shelves add personality to children bedrooms and improve the functionality and appeal of kids rooms. These home furnishings allow to create pleasant, clutter-free and stylish interior decorating and keep kids toys and books in order.